What is Adult Day Health Care? Adult Day Health Care is a program Veterans can go to during the day for social activities, peer support, companionship, and recreation. The program is for Veterans who need skilled services, case management and help with activities of daily living. Examples include help with bathing, dressing, fixing meals or taking medicines. This program is also for Veterans who are isolated or their caregiver is experiencing burden. Adult Day Health Care can be used in combination with other Home and Community Based Services. Health services such as care from nurses, therapists, social workers, and others may also be available. Adult Day Health Care can provide respite care for a family caregiver and can also help Veterans and their caregiver gain skills to manage the Veteran's care at home. The program may be provided at VA medical centers, State Veterans Homes, or community organizations. For a list of State Veterans Homes locations, visit the National Association of State Veterans Homes. You can also use the Locate Services page, found on the left navigation menu, to help you find Adult Day Health Care programs. 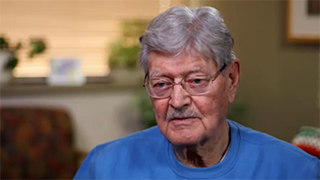 “If you can get in, do it!” Hear what elderly Veterans think about the program and see them engaging in Adult Day Health Care activities. Listen to health care staff discuss the benefits of the program. Am I eligible for Adult Day Health Care? Since Adult Day Health Care is part of the VHA Standard Medical Benefits Package, all enrolled Veterans are eligible IF they meet the clinical need for the service and it is available. A copay for Adult Day Health Care may be charged based on your VA service-connected disability status and financial information. Contact your VA social worker/case manager to complete the Application for Extended Care Benefits (VA Form 10-10EC) to learn the amount of your copay. Adult Day Health Care can be a half-day or full-day program. Usually, you would go to an Adult Day Health Care center 2 to 3 times per week, but you may be able to go up to 5 times a week. Based on availability and need, you can create a regular schedule that works for you and your family caregiver. You may be able to get assistance with transportation to and from an Adult Day Health Care center. If Adult Day Health Care seems right for you, your VA social worker may be able to help you find an Adult Day Health Care center near your home and assist with making arrangements. You can also use Locate Services page, found on the left navigation menu, to help find Adult Day Health Care services. 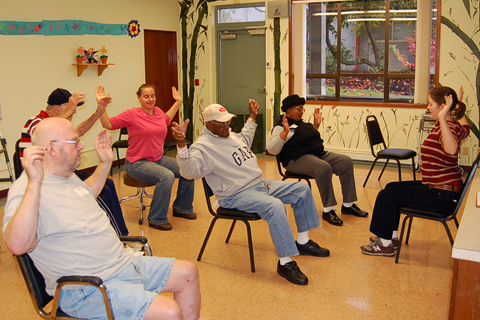 I enjoy all the activities and other people at the Adult Day Health Care center. Going there makes me more active and healthy. My partner receives extra care at the Adult Day Health Care center and I get a break to run errands without worrying about leaving him alone. We are grateful that this care option exists.